So today's nails are a bit demure for me especially at this time of year. But I had an interview of sorts and wanted to keep them neutral. Covent Ballet Garden from Nails Inc's A Lister's set is a nudish grey, with a pink and gold shimmer through it that shows up well on the nails and not too bad in pics. This was opaque in 2 coats. Do you think this is a good choice of polish for an interview? 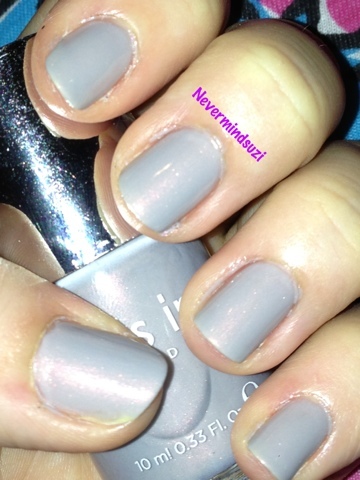 NOTD: China Glaze - Water You Waiting For? NOTD: China Glaze Def Defying and FLOAM! !